The frequency of newborns with congenital heart disease (CHD) is approximately 1% in the general population; however, the recurrence rate of CHD in mothers with CHD differs in ethnicity and reports. We therefore aimed to determine the prevalence of CHD among neonates born to mothers with CHD in our institute in Japan. 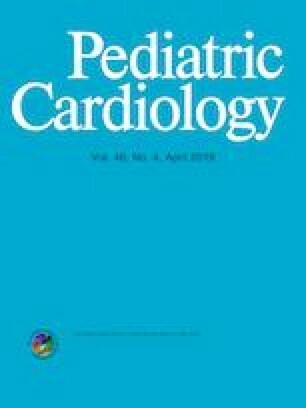 We reviewed the medical charts of 803 neonates delivered by 529 women with CHD at the National Cerebral and Cardiovascular Center from 1982 to 2016. They included isolated ventricular septal defect (VSD,31.4%), isolated atrial septal defect (ASD, 23.3%), tetralogy of Fallot (TOF,10.6%). We defined CHD in neonates as being diagnosed within 1 month of birth. We estimated that the average rate of the CHD recurrence was 3.1%. The recurrence ratios in each maternal CHD were 8.6%, 7.1%, 6.2%, 4.8%, 3.6%, and 1.5% for PS, CoA, TOF, atrioventricular septal defect, VSD, and ASD, respectively. The rate of CHD in offsprings whose mothers have CHD was 3 times greater than that of mothers with healthy hearts. Almost half of neonates with CHD had the same phenotype as their mother in our series. Especially, PS and CoA were closely related to the type of maternal CHD.